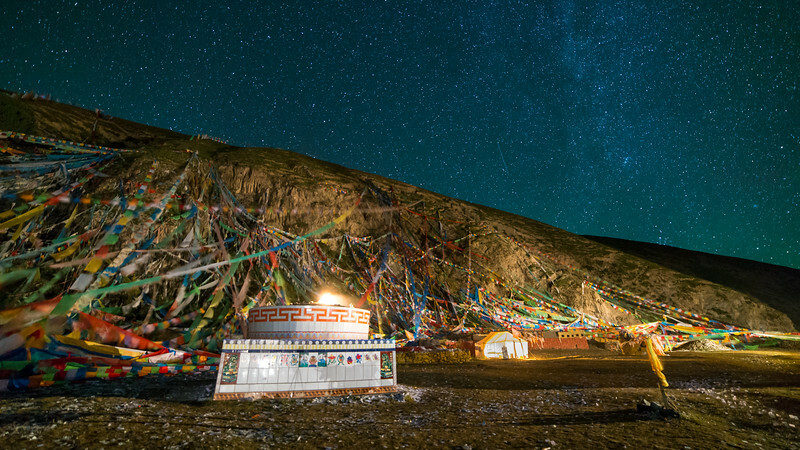 This is a night shot at prayer site along the trail around Anme Machen. 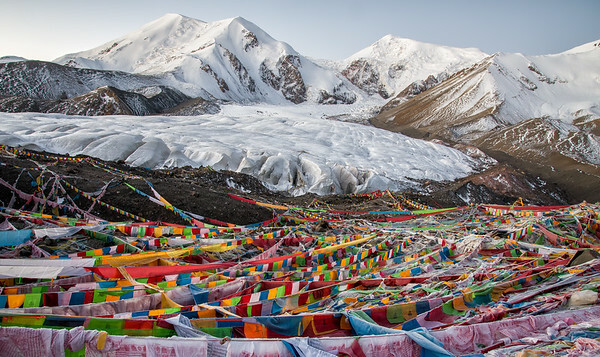 I slept here for the night before heading to the highest peak on the trek the next day. 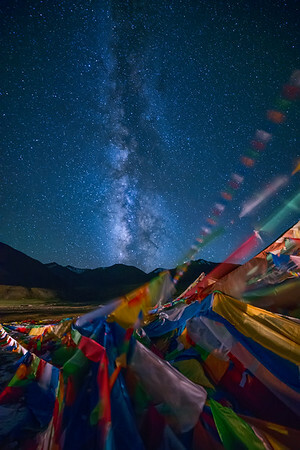 At 4000 meters altitude on the Tibetan plateau the milky way is so clear it feels like you can reach out and touch it. 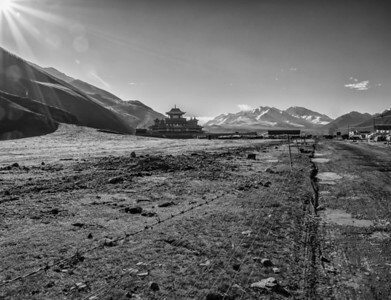 This was taken on my recent 150 km trek around Anme Machen in Qinghai province, China. It took me 5 days to walk the 150 km and well worth the blisters. Amazing experience and photos. 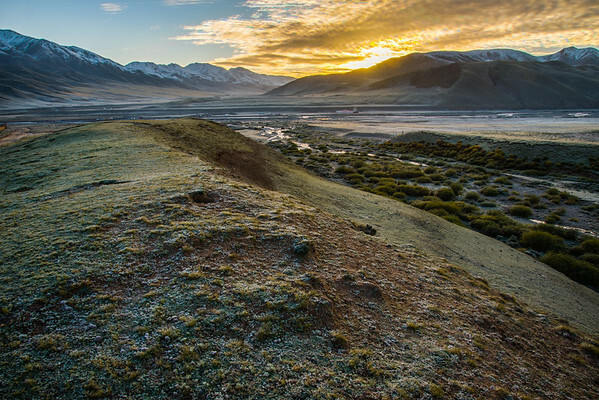 Would you walk 150 km to see and capture this type of scene? 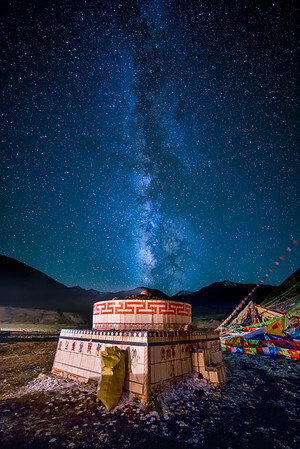 I stayed one night at a sacred Buddhist prayer site on the West side of Anme Machen, at over 4000m altitude the milky way was clearer than I have ever seen it. 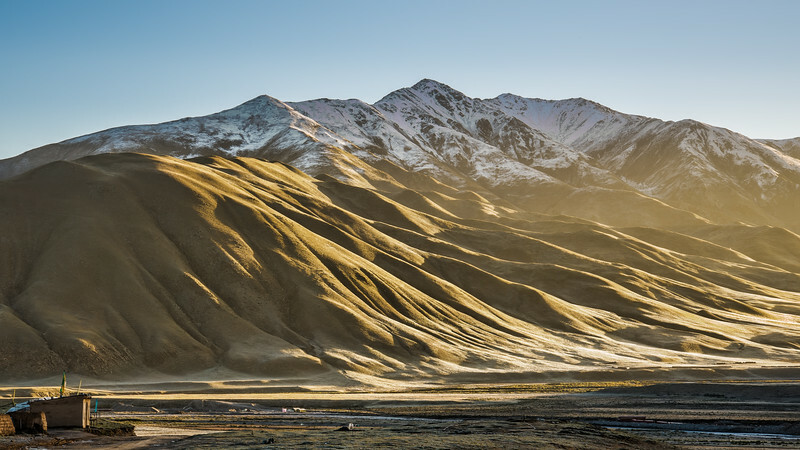 The days first rays of sunlight make every contour and hill on this mountain stand out. This was the first temple I saw on my hike and was the most impressive building in the area. 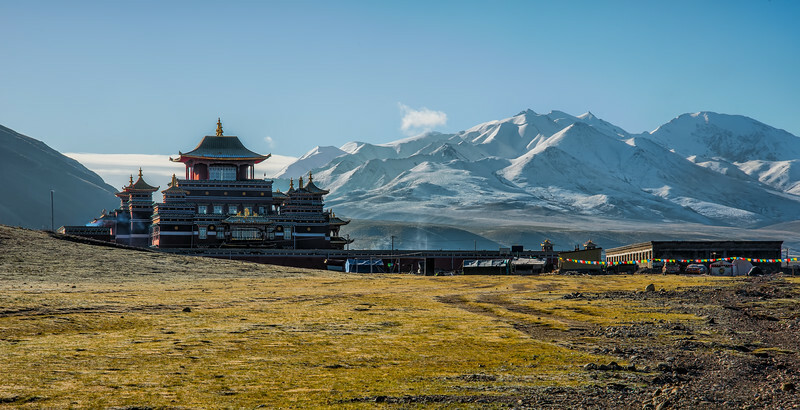 It was empty when I entered so I took a look around and paid my respects before continuing my trek account the sacred Buddhist mountains of Amne Machen which are in the background. I do not convert a lot of my photos to black and white but this one seemed to work better this way, the color made it look to busy. What do you think? On my Amne Machen hike the nights were cold at 4500m so it was nice the tents and shacks were setup with stoves and fires. Here is one warming up on a cold morning near the mountain top. This is the glacier at the top of Anme Machen mountain. Locals told me it had been receding rapidly over the past couple of years. They did not blame it on global warming but on the dust from the freeway construction not far from the glacier. They probably were not far off because dust was everywhere. The sky is clear but it was a cold morning when I took this photo. 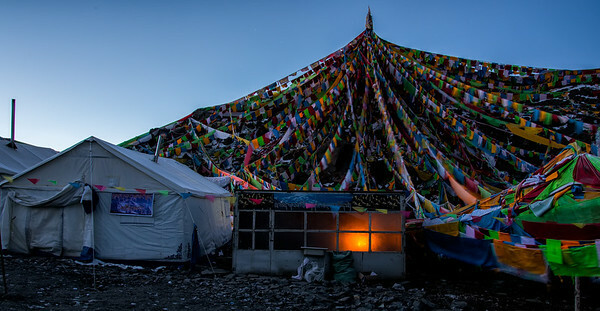 All the prayer flags were covered in frost and frozen. 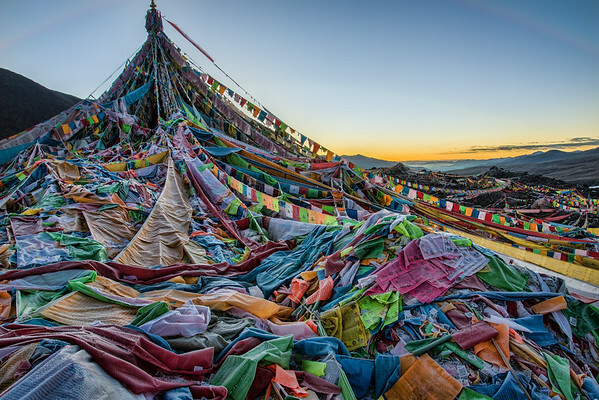 The cloth crunched as I walked through thousands of prayer flags at the peak of the mountain. 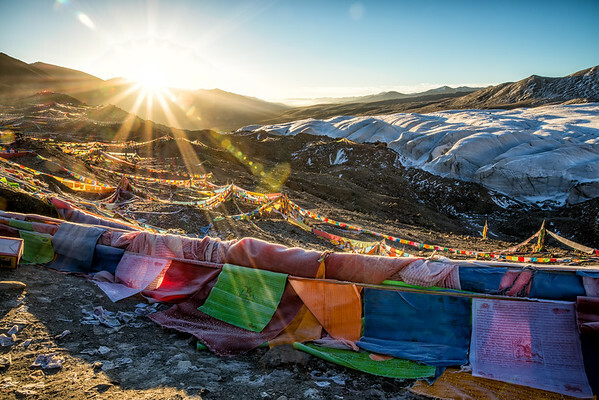 The sun peaking over the mountain, lighting Tibetan prayer flags on the mountain top. I spent the night in a tent just down the hill from where this photo was taken. I am at an elevation of 4600m so the warm sun peaking over the mountains was a welcome sight after a cold night and morning. 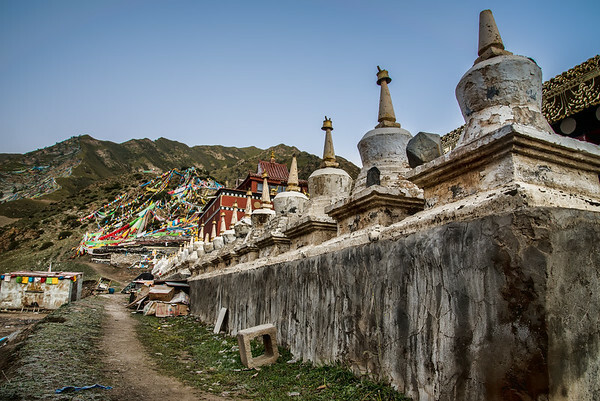 I found these old Stupas along side a temple in a small town on the trail around Anme Machen. 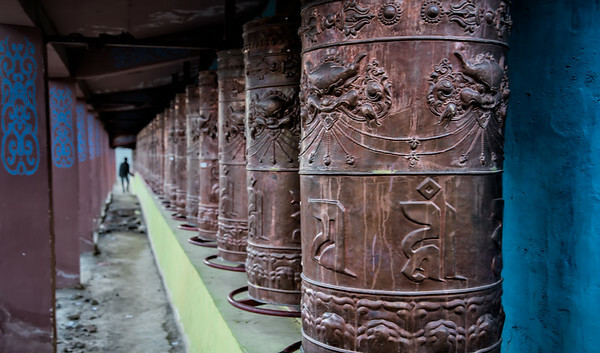 Tibetan prayer wheels beside a temple along the hike around Anme Machen. 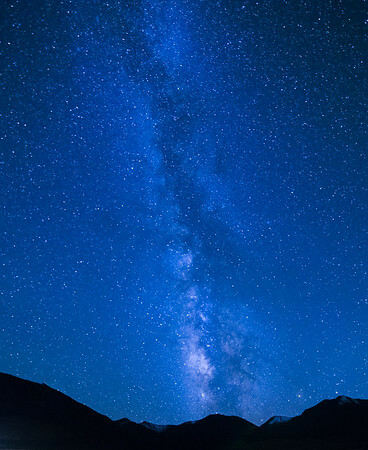 The amazing milky way above the mountain tops.